She is not frequently in the spotlight, but takes on an important role behind the scenes. F1Technical.net’s Balázs Szabó spoke to Sebastian Vettel’s Public Relations Manager, but this time not about her driver, but about Britta’s journey into Formula One. The ambitious and energetic German has a job that is envied by many. She works at the pinnacle of motorsport, travels around the world for practically the whole year dealing with the pressure of hugely successful Teams and Drivers. Britta has been in Formula One for over a decade, but her way into the Moving Circus was not a direct path. She was born and grew up in Essen, Western Germany. Interested in the media, she studied economics, modern languages and journalism. After finishing her studies, she grabbed an opportunity at Renault where she joined the traineeship programme of the French company in Brühl near Cologne. She gained a wealth of experience by working for the internal and external communication and the product communication departments of the firm. In 2005 she joined the Red Bull Racing Team and was part of that team working with Sebastian as he and the team won four consecutive World Championships. In 2015 she left Red Bull with Sebastian when he joined Ferrari. Asked how enthusiastic and passionate she was about motorsport, she conceded that it was less alluring for her at first. She had intended to work for a French company, making use of her French studies. She has been working with Sebastian Vettel since 2010 when the German approached and ask her to work for him as Public Relations Manager. Due to the long and tight race calendar with 21 races in 2018, Britta is always on the move during the season. The work does not come to a halt in winter since many things have to be prepared for the next season when Formula One action resumes. 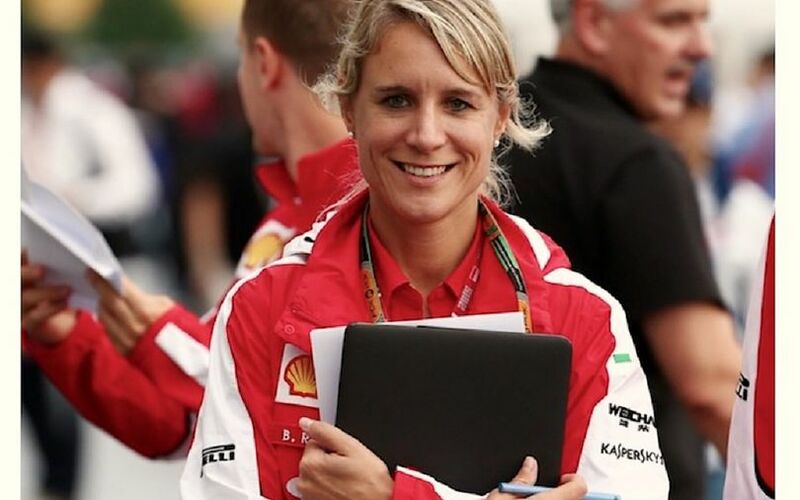 During race weekends, Britta works in Ferrari’s media motorhome together with Kimi Räikkönen’s press officer and she is constantly in contact with Ferrari’s Head of Communications, Alberto Antonini. The job is really diverse.